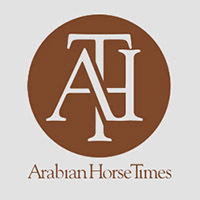 The Arabian Horse Foundation has announced that it will award nearly $20,000 in grant monies to fund requests for Equine Research and Horse Rescue and Rehoming. The Foundation, which is the philanthropic arm of the Arabian Horse Association, is based in Denver and has four target areas for granting funds: Youth Scholarships, General Education, Equine Research (particularly for Arabians), and Equine displacement and Rehoming. 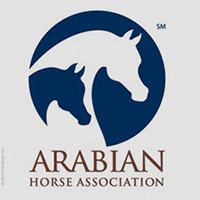 “The awarding of the grants for equine research and displacement/rehoming is the first time the Foundation has awarded funds to these two areas since a re-launch of the Foundation at the 2007 AHA convention when the new funding areas were announced,” stated Larry Kinneer, Foundation President. Earlier this year the Foundation awarded $30,000 in scholarships to over 50 youth across the United States. To date this year, the Foundation has awarded $50,000 in grants. The Foundation is unique in its efforts to provide funding needs in such diverse areas. A $5,000 grant was awarded to the UC Davis Veterinary Genetics Laboratory for the laboratory’s work on Cerebella Abiotrophy (CA), a degenerative condition of the brain where certain cells in the brain’s cerebellum begin to die, resulting in a severe lack of coordination. The degree of severity can vary, but most affected individuals are euthanized before adulthood due to the hazard they present to themselves and others. Evidence indicates that CA is widespread in the Arabian breed. The Foundation awarded $4,500 to Cornell University for research in Lavender Foal Syndrome (LFS). This is also known as Coat Color Dilution and is a neurological disorder thought to be caused by a brain lesion. Foals are usually euthanized within a few days after birth. While LFS appears in a relatively small number of foals, it is strongly associated with horses of particular Arabian strains. Cornell has been researching LFS for several years. The grant awards for Equine Research were based on recommendations made by the Foundation’s Advisory Panel on Equine Research: Beth Minnich, Washington, (chair); Dr. Timothy Fleck, DVM, Indiana; Dr. Ray Cerniga, DVM, California, and Dr. Cory Soltau, DVM, California. 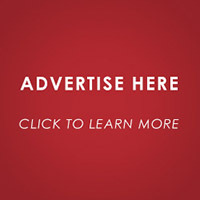 The Foundation granted $7,500 to the South Carolina Humane Society that is caring for 46 horses that were confiscated in an abuse case that remains in the judicial system. The Humane Society has undertaken feeding and housing the horses, providing medical treatment, and general care of the animals. The Humane Society requested financial assistance from the foundation. In addition, the Foundation granted $2,500 to Day’s End Equine Rescue, a Maryland-based organization that has a nationally recognized emergency response training program. Two years ago, Days End assisted in the care and treatment of horses and ponies seized from a horse owner’s property in Maryland. Days End assumed the care of about 20 of the horses, nearly all of them Arabians, as part of a joint effort with other local rescue resources. The Foundation’s Advisory Panel on Horse Displacement/rescue and rehoming made the recommendations to the Foundation board. That panel consists of: Carol Darnell, Oklahoma, (chair), Jennifer Williams, PhD of Texas, and Brenda Laural, Texas.